Alloy Steel Flanges, AS Flanges, ASTM A182 Alloy Steel Flanges Suppliers. ASTM A182 Alloy Steel Flanges Manufacturers, ANSI B16.5, ANSI B16.47 Series A & B Alloy Steel Flanges, A182 F1, F5, F9, F11, F22, F91 Alloy Steel Flanges Suppliers in Mumbai, India. Kencotube is specialized in manufacturing Alloy Steel Flanges, which is alloyed with a variety of elements in total amounts between 1.0 percent and 50 percent by weight to improve its mechanical or physical properties. Alloying elements are added to achieve certain properties in Alloy Steel Pipe Flanges, whereas a guideline, alloying elements are added in lower percentages (less than 5 percent) to increase strength or hardenability, or in larger percentages (over 5 percent) to achieve special properties, such as corrosion resistance or extreme temperature stability. In Alloy Steel Slip On Flanges, the alloying elements tend to form carbides or compounds, rather than simply being uniformly mixed in with the iron and carbon, where nickel, aluminium, and silicon are examples of the elements that form compounds in the steel. Alloy Steel Flanges, Alloy Steel Pipe Flanges, Alloy Steel ASTM A182 F5/F9 Flanges, ASME SA182 Alloy Steel Flanges Exporters, AS Flanges, Alloy Steel Slip-On Flanges Manufacturers, Alloy Steel Blind Flanges, Alloy Steel Socket Weld Flanges, Alloy Steel Threaded Flanges, A182 F11/ F12 Alloy Steel Flanges, Suppliers. Few exact rules exist for selecting through-hardening or surface-hardening grades of Alloy Steel Blind Raise Face Flanges, where in most cases critical parts are field tested to evaluate their performance. Alloy Steel Weld Neck Raised Flanges are often specified when high strength is needed in moderate-to-large sections, where tungsten and vanadium will form carbides, both of which increase the hardness and stability of the finished product. Parts with large sections — heavy forgings, are often made from Alloy Steel Long Weld Neck Flanges that have been vacuum degassed. 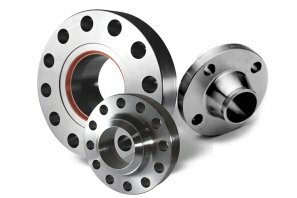 While in a molten state, these Alloy Steel Lap Joint Flanges are exposed to a vacuum which removes hydrogen and, to a lesser degree, oxygen and nitrogen. Alloy Steel Weld-Neck Flanges, Alloy Steel Spectacle Flanges, Alloy Steel Lap-joint Flanges Stockholders, Alloy Steel Orifice Flanges, Alloy Steel Forged Flanges Dealers, Alloy Steel Plate Flanges, ASTM A 182 F21 / F22 & F91 Alloy Steel Flanges Manufacturers, Alloy Steel Groove Flanges Stockists. Pressure Ratings 150#, 300#, 400#, 600#, 900#, 1500# & 2500#. PN6, PN10, PN16, PN25, PN40, PN64 etc. Baroda, Courbevoie, Visakhapatnam, Granada, Nashik, Port-of-Spain, Navi Mumbai, Gurgaon, Secunderabad, Bangkok, Gimhae-si, Busan, Indore, Milan, Calgary, Kolkata, Sydney, Aberdeen, Howrah, Mexico City, Perth, Ho Chi Minh City, Ulsan, Kuala Lumpur, Thiruvananthapuram, Chennai, Melbourne, Muscat, Ranchi, Pimpri-Chinchwad, Surat, Doha, Bogota, London, Hanoi, Montreal, La Victoria, Cairo, Colombo, Caracas, Nagpur, Brisbane, Mumbai, Houston, Manama, Faridabad, Rio de Janeiro, Ludhiana, Madrid, Moscow, Bengaluru, Ankara, Istanbul, Toronto, Algiers, Noida, Dammam, Vung Tau, New Delhi, Tehran, Hyderabad, Sharjah, New York, Coimbatore, Edmonton, Haryana, Dallas, Vadodara, Chiyoda, Jaipur, Rajkot, Los Angeles, Jamshedpur, Pune, Ahvaz, Al Jubail, Santiago, Karachi, Al Khobar, Ahmedabad, Bhopal, Petaling Jaya, Lahore, Seoul, Thane, Kuwait City, Jeddah, Geoje-si, Lagos, Atyrau, Riyadh, Ernakulam, Jakarta, Kanpur, Chandigarh.